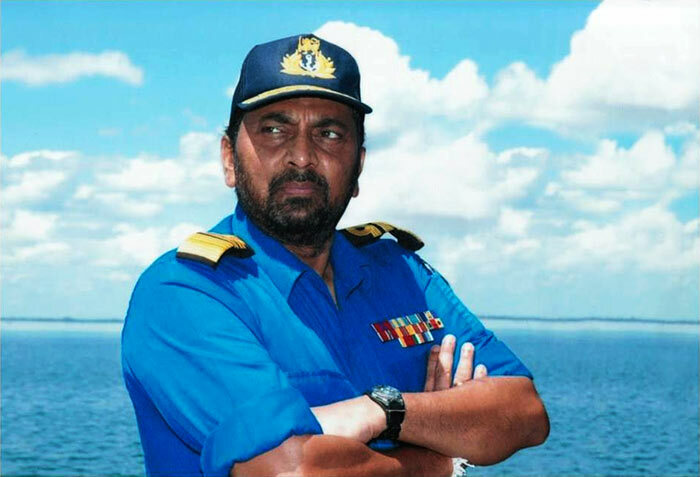 Former Navy Commander Admiral Wasantha Karannagoda appeared before the Criminal Investigations Department yesterday morning to record a statement over the abduction and killing of 11 youth has accepted that the unit in question operated under his direct supervision. As instructed by the court, the former Navy Commander arrived at the Criminal Investigations Department yesterday at around 9.00 am yesterday. An investigation is currently underway with regard to the court case filed in relation to this incident. A senior Police officer charged that former Navy Commander Karannagoda was asked in writing to appear before the CID twice earlier but he failed to do so. The Supreme Court on March 7 issued an order preventing the arrest of the former Navy Commander and ordered him to appear before courts on March 11. As requested by the former Navy Commander, he was given permission to enter the CID premises with one of his security officers and questioned for seven hours till 4 pm. Of course, as you say, the ‘unit’ responsible for abduction and killing of youth from well-to-do families for ransom in the post-war era was under your ‘direct supervision’, my dear Commander. But, my dear Commander, you belong to the special species called ‘War Hero’s’ who are above the law of the land. So, my dear Commander, you continue enjoying life and all its privileges as a ‘War Hero’.